TEL AVIV – Togod Omar was an activist in Sudan for five years, speaking out on democracy and labour issues, until his activities were brought to the attention of the Sudanese dictatorship. “[The government] started attacking us and killing our friends inside the university. When they killed a friend of mine in front of my eyes, it was the final moment [for me]. I knew I had to hide myself,” Omar told Middle East Eye. Omar went into hiding for 10 months. “My life was in danger,” Omar explained. Government security personnel would frequently go to Omar’s house looking for him. “They would ask my mother, ‘Where is Togod? We want him. '” The security forces would also stop Omar’s brother on the way home from school and ask where he was. As he didn’t have a passport, Omar asked his uncle to help him buy a fake. In 2011, he used it to cross into Egypt and eventually into Israel, where he has lived for the past seven years. Israel plans to deport 40,000 African asylum seekers, with stories just like Omar’s, starting in April this year. They will be presented with the option of either accepting $3,500 and a plane ticket to an undefined country or an indefinite jail sentence. 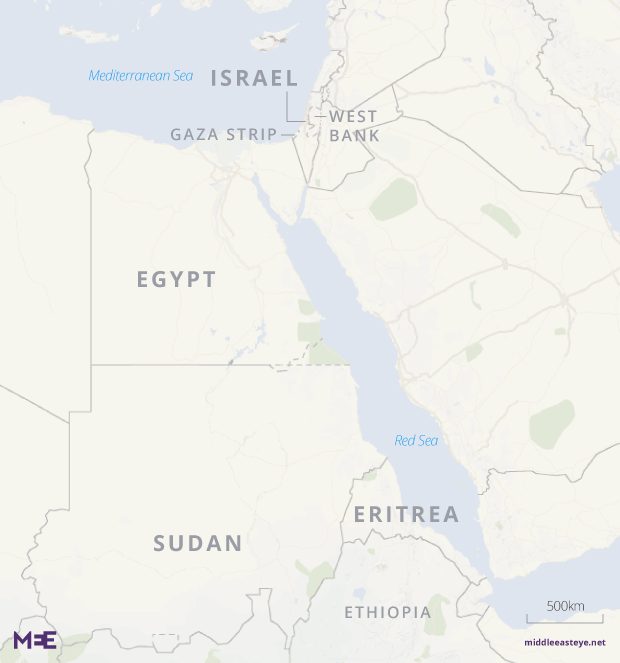 The majority of asylum seekers entered Israel between 2006 and 2012 before a fence was built, closing off the route on the Egyptian border. According to the Hotline for Refugees and Migrants, an average of only 0.15 percent of people filing asylum claims are recognised as refugees in Israel. The majority of asylum seekers in Israel – 73 percent – are from Eritrea and 19 percent are from Sudan. Omar didn’t originally plan to go to Israel. He believed he would face deportation in Egypt if he tried to seek asylum there. “In 2005, the Egyptian government killed many Sudanese youth trying to deport them back to Sudan. Our country is cooperating with their government. They are going to deport you as long as you speak loudly against the Sudanese government,” Omar said, explaining what made him continue through the Sinai. Now sitting in a community centre in Tel Aviv, behind the central bus stop, Omar is just about to give his weekly Hebrew lesson to other asylum seekers. It’s the same bus stop all asylum seekers crossing the Egyptian border were given a one-way ticket to upon arriving in Israel. Dror Sadot, spokesperson for the Hotline for Refugees and Migrants, said the majority of asylum seekers continue to remain in the same area, without access to services. “They have no social welfare, no rights or insurances. Life is very hard,” Sadot told MEE. While asylum seekers wait in Israel for their application to be checked, they are granted a temporary protection visa, or as Israel calls it a ‘temporary delay of deportation’. According to Hotline it’s a “legal status that denies them all rights except the right to remain in Israel until their deportation is made possible”. Sadot said Israel has been trying to enact the current deportation plan since 2014, offering the same amount of money to leave voluntarily. In 2015, the Israeli government stepped up the pressure. “Either they go to a third country or they’ll be in prison,” he said. The new plan, Sadot said, made its way through the Supreme Court for two years until a verdict came out at the end of last year. “It said that Israel can theoretically undertake this procedure, but only if those third countries are willing to accept those people against their will,” Sadot said. Under the prior agreement, Rwanda, for example, was only going to accept people if they wanted to go there. ASSAF‘s (Aid Organisation for Refugees and Asylum Seekers in Israel) public advocacy coordinator, Adi Drori-Avraham, confirmed that the new strategy has been on the table for a long time. “It’s just an escalation of the policy. Now there’s talk of forcibly putting people on planes,” Drori-Avraham told MEE. The countries the asylum seekers will be deported to remain classified. There has been wide speculation that deals are being made with Rwanda and Uganda, although these countrieshave denied they are involved. Sadot has major concerns with deporting asylum seekers to unsafe countries. Through testimonies gathered by Hotline for Refugees and Migrants and various other refugee groups, Sadot shows that people who previously arrived in Rwanda or Uganda through the agreement with Israel have once again been smuggled out of the country. “All their documents are taken away, [people in the third countries] know they are coming with cash Israel gave them, so they’re made to pay smugglers to get them out of the country again because they have no work permit and no refugee status there,” Sadot explained. Uganda may have denied being part of the arrangement, but “we know they’ve received thousands of people in the last few years”, she said. Sitting in a cafe just up the road from the central bus station in Tel Aviv, Eritrean asylum seeker Teklit Michael described Israel’s plan to pay Africans to leave the country as “legal human trafficking”. 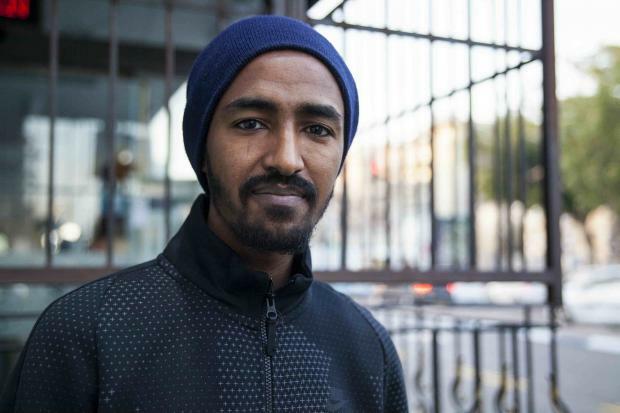 “I’ve paid people-smugglers, now Israel is paying to smuggle me back. I know how it works,” Michael told MEE. “Don’t deport me to another country,” Michael said, as if speaking to an Israeli officer. For now, returning to Eritrea is out of the question for Michael. “For me, it’s death, because I’m an activist and I open my mouth,” Michael said. Eritrea has no judiciary, has never had democratic elections and citizens are forced to perform national service with no end date. Every month, more than 1,000 soldiers flee national service and their homeland of Eritrea. Amnesty has said the system amounts to “forced labour on a national scale”. Michael was forced to join the Eritrean army when he was 17. “I wanted to continue my studies and my sports. They refused, they wanted me to be a soldier and a slave,” he explained. Michael left the military base when he was 19 and tried to cross the border to Sudan. “[The Eritrean army] shot three bullets at me, but I ran away and they missed,” Michael said. In total, he paid $2,000 for people-smugglers across the border into Egypt and then into Israel. Michael has now lived in Israel for 10 years. But Israel believes people fleeing the military are not refugees, and are instead deserters, Sadot explains. So all Eritrean asylum applications are automatically rejected. In comparison, the majority of countries around the world grant refugee status to 90 percent of Eritreans, according to Hotline. Michael applied for asylum four years ago and is still awaiting an answer. Omar sought asylum five years ago. “In the beginning, I thought maybe Israel was a democratic country. Until now, I have no answer from the government,” Omar said, pointing to the systematic handling of refugees in Israel. 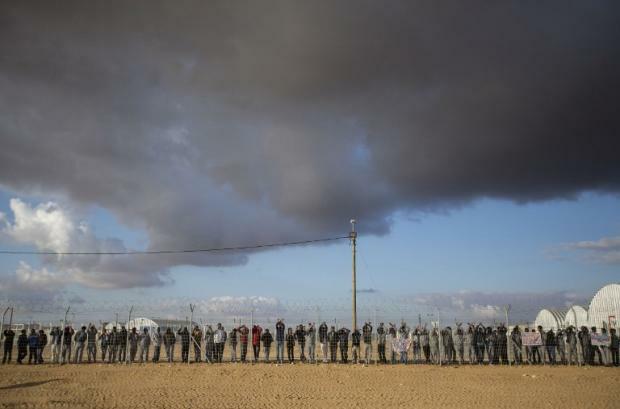 Israel only made it possible in 2013 for people from Eritrea and Sudan to apply for asylum. “Then we see Israel just ignoring these requests, systematically,” Sadot said, referring to the years living in limbo. For now, both Michael and Omar appear somewhat safe from deportation. “Whoever has an open asylum application is temporarily protected,” Drori-Avraham said. This isn’t comforting news though, considering the rejection rate and the possibility of rejections being made more swiftly now Israel has a finalised deportation order. “For today, I’m not affected, but they want to deport every African. This is their plan. This is about skin colour. All the system is based on racism,” Michael said. Omar isn’t comforted by the exception clause. “They can target everybody,” Omar said. Like Michael, Omar mentions that the intimidation of the African community has been going on for years. “Each time you renew your visa, they say it’s not your country and you have to go back to Africa,” Omar said. Asylum seekers and African migrants say they are worn down by the situation in Israel. “A lot of people are against you,” Omar said.